Many of you will be searching for skiing accommodation in Meribel at the moment, and it’s not always easy to make the right choice. How do you know if you’d be better suited to staying in one of Meribel’s many hotels, taking matters into your own hands by reserving a self-catered chalet, or by leaving it all to someone else with a catered chalet company? From just over 60 euros a night you could be staying in Le Grand Chalet des Pistes, with it’s excellent proximity to Le Rond Point and with a Hammam and Sauna available. If budget is no option, what about the fabulous Le Kaïla, at 630 euros a night? With a swimming pool covered by a fantastic rocky ceiling and a bar with luxuriously comfy sofas, this truly is the place to splash out. 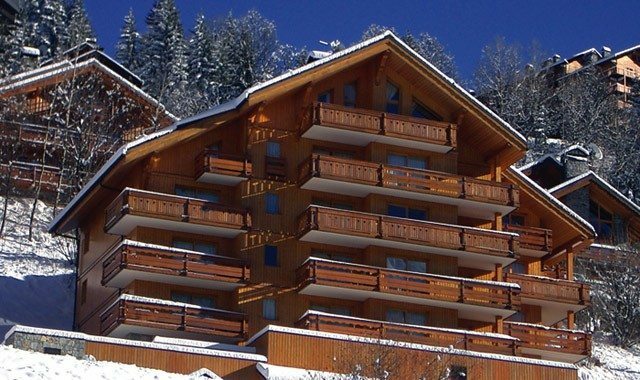 For those of you with money to spend, or even just those of you that are travelling in a smaller group, a hotel in Meribel could be great for you. Self-catered chalets in Meribel are easy to find – with many being advertised privately like Ski Basics or through several agencies. Giving you the opportunity to organise each aspect of your holiday, there is a self-catered chalet for everyone in the heart of the three valleys. You can even choose to have your Alpine holiday in one of Meribel’s smaller residential areas, including Les Allues, Meribel Village or Morel. If you relish the thought of rustling up a Tartiflette for your nearest and dearest, or you’d like to save a few pennies, a self-catered apartment in Meribel would be a good option to look at. Catered chalets in Meribel are everywhere – it’s choosing the right company that counts. Knowing that you can relax in the knowledge you will be well taken care of is a huge part of letting go, and really enjoying yourself. From cooked breakfast, to board games around the fire, dinner being served every night and lifts to the slopes each day, catered chalets are a dream come true. If you are a medium sized group with similar interests, and want a fuss-free week, then a Meribel catered chalet would be perfect for you. No matter what you decide, Meribel has a huge range of options when booking your skiing holiday. Pack your sun cream, a smile and get ready to enjoy yourself!